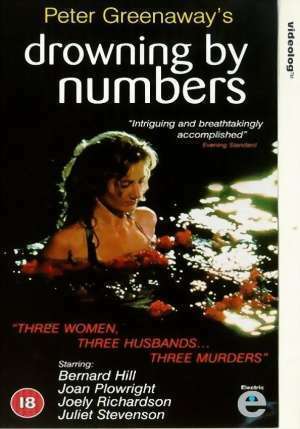 Drowning by Numbers is a 1988 British film directed by Peter Greenaway. It was entered into the 1988 Cannes Film Festival. The film's plot centers on three women — a grandmother, mother and daughter — each named Cissie Colpitts. As the story progresses each woman successively drowns her husband. The three Cissie Colpittses are played by Joan Plowright, Juliet Stevenson, and Joely Richardson. Bernard Hill plays the coroner Madgett, who is cajoled into covering up the three crimes.